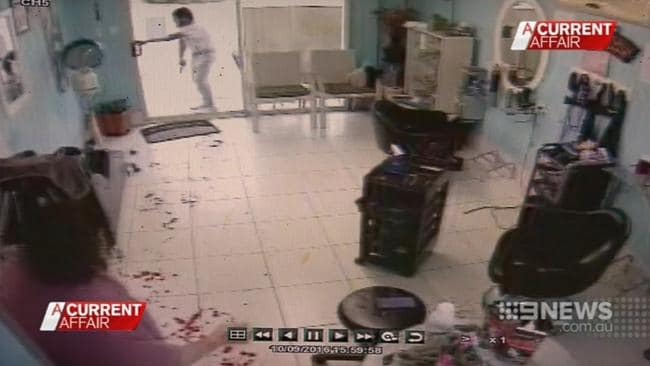 Ihsas Khan, 25, a reported Islamic State supporter who stabbed a man in his Sydney neighborhood in 2016 said he was going to kill him as he aimed repeated blows at a grandfather, Wayne Greenhalgh, a jury has been told. 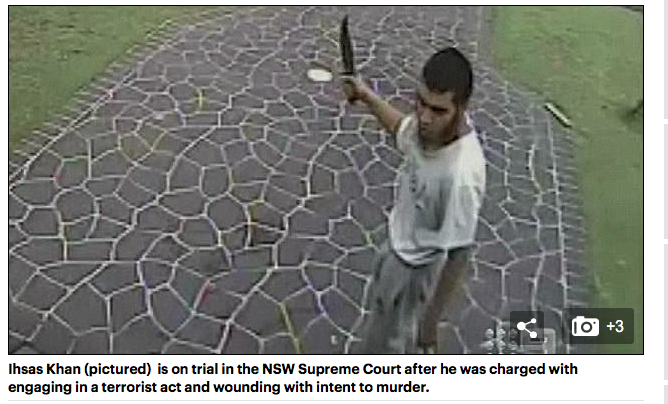 Daily Mail (h/t MarvinW) Ihsas Khan, 25, is on trial in the NSW Supreme Court after pleading not guilty to committing a terrorist act and wounding with intent to murder over the attack at Minto, in Sydney’s southwest, in 2016. Khan is not disputing he stabbed Wayne Greenhalgh but is fighting the charges on the grounds of mental illness. Mr Greenhalgh gave evidence on Wednesday that Khan said ‘I’m going to f***ing kill you … Allah Allah’ during the incident which occurred as he was walking near Khan’s home. Mr Greenhalgh was on his way home when Khan, then 22, allegedly came out of his house and chased the victim with a hunting knife, stabbing him in the doorway of a hair salon. Crown prosecutor Caroline Davenport SC said during her opening address the alleged victim was walking near his house when Khan attacked him with a knife. Daily Telegraph MINTO grandfather Wayne Greenhalgh (photo below) has opened up about the terrifying moment an alleged terrorist slashed his hands, chest and face with a knife. 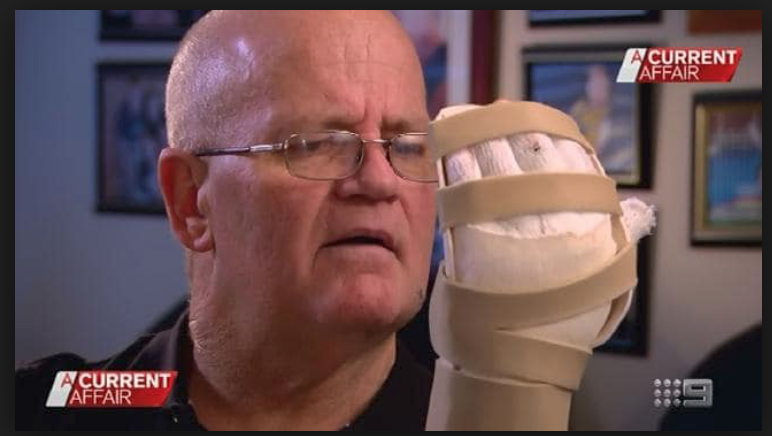 “I looked at my hand here and he’d cut this finger all the way down and just the bone was hanging out and everything was everywhere,” Mr Greenhalgh told A Current Affair. “My arms were squirting blood out. Khan says he does not regret stabbing the man. Why not accept the fact that they ARE mental midgets, confine them to an insane asylum, and LOBOTOMIZE the freaking LOT of them. Problem solved! 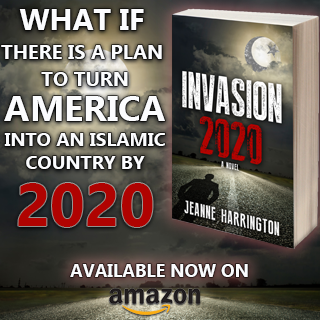 The politicians make everyone open to Islamic Jihad Roulette. It could be any of us…. any day. For a Muslim stabbing someone is a nothingburger. Hamas teach their kids the best thing they can do in life is kill Jews. Muslims in the West are told not to contribute and to take as much as possible, and when their latent psychopathic characters takeover they’re told by their taxpayer funded defence teams to bleat “mental illness”. They should be locked up and the key thrown away. The UN is trying to use the mental illness syndrome to expedite(flood) the US with so called refugees, asylum seekers, economic migrants(which ever these bleeding liberals are calling it today.) Their UN migrant compact is falling apart. Their trying to find everyway they can to control the US from within. They already got their evil hands on Europe and Canada. Their pissed President Trump won’t play their deceitful games at the expense of the American people. The victim’s statement is graphic. Good. Notice we never heard a thing about European terror victims? 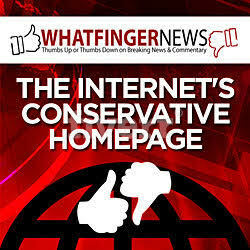 Our Boston bombing victims were very publicized. 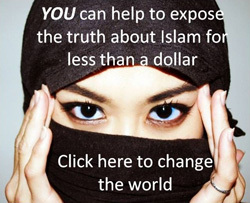 Bring Islamic terror into the light of day. given the fact that they all claim mental illness means that the western armies and the Kurds fighting Daesh right now should be replaced by a standing army of trained psychiatrists. Well, he doesn’t regret what he did (interview room). He’s certainly not mental. Only a devout Muslim. Every day, many times a day, everywhere, it’s non-stop. And then they wonder why we’re afraid of them. They go from normal to full out Mohamed in one nano-second. A few days ago, in Germany, the poor handicapped man had his arm torched, his ears ripped off, and severely beaten by Muslim intruders in his home. So many things happening everywhere, it’s frightening. Our only hope lies in owning guns at home and carry/conceal. Thanks to Psychology the West is too soft in punishment process. The insanity excuse process has been happening since the 1970’s that I know of. And yet no one has ever abolished this insidious excuse system. Psychology has a lot to answer for its coward belief system. Yes, and pity toward the criminal.